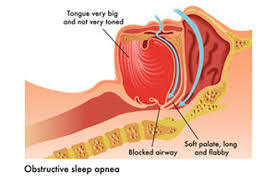 As many as ten percent of working-age men suffer from obstructive sleep apnea, a condition that causes them to repeatedly stop breathing for as long as ten seconds at a time, night after night. Anyone sleeping in the room with an individual who suffers from the condition may think it’s just continuous, loud, irritating snoring. But obstructive sleep apnea is a health problem that can cause serious medical complications if not corrected. Just about everyone has slept in the same room with someone who snores. What’s going on behind all that middle-of-the-night racket? While snoring itself isn’t a serious health problem, sleep apnea is. Sleep apnea is like snoring taken to the next level. It occurs when the airway is completely blocked by the soft tissues in the back of the throat. The American Dental Association likens the effect to what occurs when a thick milkshake is sucked through a narrow straw; eventually the straw collapses from the pressure. When the airway is obstructed to such a degree, less oxygen reaches the blood and the brain. In response, the brain gives the “red alert” signal to the airway to unblock itself by tightening up. This causes the individual to gasp or snort abruptly, restoring breathing to normal. 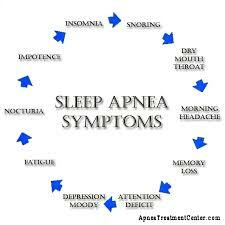 There is help available for obstructive sleep apnea. Working with your physician, our Houston dentist can create a custom-fitted, comfortable oral appliance that keeps the airway open during sleep so you can breath normally. If you think you might have sleep apnea, see your physician immediately. She and our Houston dentist can work together with you to find a comfortable, effective solution.